We have an unrivalled track record for succeeding on Immigration Bail applications nationwide. Bail can be granted by a Chief Immigration Officer or an Immigration Judge at a hearing of the First-tier Tribunal (Immigration and Asylum Chamber). For a successful bail application you will need an address and at least one surety who can offer some money as a guarantee to the Tribunal that you will abide by the conditions of your bail. It will be up to the judge to decide on the conditions of release. The law does not say that you must have an address or sureties, but your application may be weaker without them. 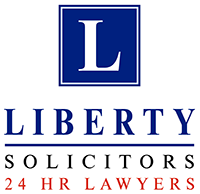 © 2019 Liberty Solicitors is Authorised & Regulated by the Solicitors Regulation Authority. All Rights Reserved.